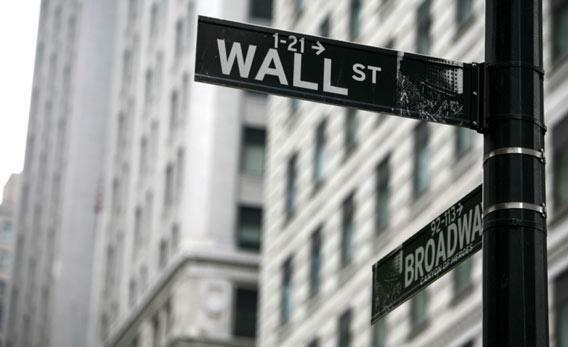 Credit-default swaps: How Wall Street is gaming the Greek bailout. A funny thing happened on the way to the Greek bailout: Credit-default swaps involving Greek debt—the same kind of financial instruments that triggered the 2008 fiscal cataclysm—were set aside, once again protecting big financial institutions from their own irresponsibility. As the negotiations over the write-down of Greek debt unfolded, one of the critical questions that seemed to be hovering over the markets was: Who bought credit-default swaps on Greek debt, and who would owe big sums to cover the CDS obligations if there were a default. Remember that back in the housing crisis of 2008, it was largely the inability of AIG to make payment on the credit-default swaps it had sold that triggered the cascade of incipient failures that required enormous government intervention. Remember the $182 billion investment taxpayers made in AIG—$12.9 billion of which went straight to Goldman Sachs? In Greece, any such problem was magicked away. A special committee that governs credit-default swaps got together and said: The Greek bailout—a write down of 50 percent of the value of Greek debt—is voluntary and thus does not trigger the contractual terms of credit-default swaps. That means the companies that sold the CDSes will not have to cover the losses they had insured—the decline in value of the Greek bonds. Who votes on this committee? This will shock you: the very banks that issue, and often purchase, the CDS’s at issue: Goldman, JPMorgan Chase, Citibank, UBS. No government entity at all. Just the same players who have an enormous interest in whether or not the CDS obligations are enforced. And this special committee votes in secret, with no public accountability. The Greek write-down was about as voluntary as a confession obtained at Guantanamo. Nobody accepted the terms because they wanted to: They accepted the terms of the write-down only because they had a governmental gun to their head, with an implicit threat that only worse options awaited. Still, the propriety of the committee’s decision, conflicted and perhaps aberrant as it appears to be, is not the issue I want to pursue right now. I will grant that the committee—the International Swaps and Derivatives Association Determinations Committee—had the power to make the decision it did, and that it will be upheld if challenged in a court of law. Rather, let’s use the occasion of this sleight-of-hand involving Greek CDS to remember the grotesque resolution of the 2008 bailouts. During the AIG bailout, the Treasury Department and financial-services industry insisted on the need for taxpayers to pay 100 cents on the dollar for every CDS obligation that AIG had sold. Treasury argued that these CDS agreements were sacred contracts, and if we did not uphold them, the entire foundation of our economic structure would crumble. Now let’s come back to the present. These CDS contracts—declared so sacrosanct in 2008—are being violated and voided at will by the very parties who have entered them! The self-interested parties that created credit default swaps are happy to benefit from the sale, manipulation, and payment on these instruments—until they decide unilaterally that they aren’t. With a simple meeting of a secret committee and the wave of a wand the obligation to pay on CDS obligations simply disappears. So why, back in 2008, didn’t Treasury demand that the secret committee get together and agree to some negotiated resolution? Why is it that when the taxpayer is there with an open wallet, the idea of voiding the contracts was never even raised? A simple truth seems hard to escape: Treasury has too long been acting as a simple front for Wall Street in the way it has structured every one of these deals. If there isn’t an honest investigation of what happened with the AIG bailout very soon, justice will have been fundamentally denied. We the public are the big losers. As always.